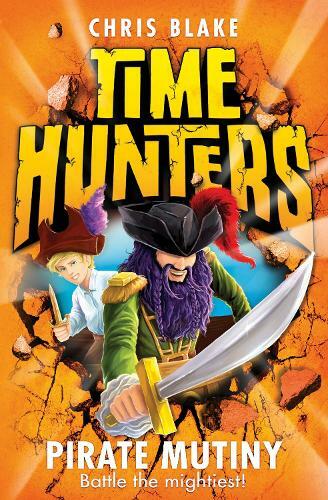 Join Tom on an incredible treasure hunt through time and battle history's mightiest warriors. The fifth book in a new time-travelling series - perfect for fans of Beast Quest. When ten-year-old Tom accidentally smashes a statue in a museum he releases Isis, a young Egyptian mummy who has been imprisoned for thousands of years. To break an ancient curse, the duo must travel back in time to find six hidden amulets - battling Gladiators, Knights, Greeks, Vikings, Pirates and Egyptian Warriors! On his fifth journey, Tom stows away on a pirate ship! Will he sneak the treasure from the terrifying Captain Blackbeard before he is caught and made to walk the plank? FREE collectable Gaming Cards and fascinating facts with every book! "I thought it was epic. I really enjoyed it. It was really exciting and I loved the adventure." Sam, aged 8. "Fascinating! Cool, good and easy to read." Lauren, aged 8. "I read it in one afternoon because I liked it so much." Noah, aged 7.